Anything can happen in the wilderness, so be ready for the unexpected. No matter what scenario you may face, an ESEE blade helps you get the job done right. Every knife in the ESEE line is constructed to last and perform as a multi-purpose tool. with our multi-purpose ESEE survival knives. ESEE Store of Columbia, Louisiana, sells the full line of ESEE survival knives to customers nationwide. We carry all types of jungle knives, as well as their accessories. Outdoor enthusiasts, hunters, and survivalists around the globe trust our high quality products. With more than 15 years of experience, we always ship on either the same day as purchase or the following day, depending on what time the order is placed. When you have questions or concerns, please contact us to speak with our friendly and helpful staff. 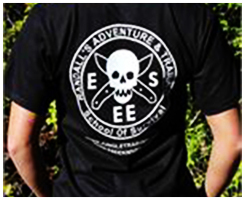 ESEE Store prides itself on offering unbeatable customer service to all clients.